THE READERS RAG: AMY STUART'S "STILL MINE": A DARK, BROODING JOURNEY INTO THE UNKNOWN! 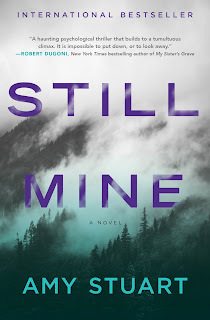 AMY STUART'S "STILL MINE": A DARK, BROODING JOURNEY INTO THE UNKNOWN! Amy Stuart is another author I got to know at Thrillerfest in New York this year. She is a Canadian author who lives in Toronto along with her husband and three sons. Just so you know, Toronto is exactly the city I am moving to subsequent to the upcoming electoral apocalypse. Anyway, I was pulled to this particular book because of the absolutely stunning book cover design of a forest on a mountainside swathed in fog, which literally appears to steam and hiss in the imagination the more you look at it. I checked with the representative for the book, Courtney Brach, and she told me to attribute the book design to Touchstone. However, it is worth mentioning that the copyright page mentions Tony Hanyk for silhouette tree design, and Ellen R. Sasahara for book design, so just in case their creativity was involved in the book cover, I thought I'd mention them as well. Physically, this book has a solidly high quality feel to it. The print is nice and large for us visually challenged. Further, the book designers maintained the wooded theme throughout the book, placing a single tree at the beginning of each chapter. Also, intermingling the physical look of the book along with the narrative, the story is separated into sections defined by days starting with Wednesday, each of which includes several chapters. Then, each of these sections begins with a different black and white picture of a mountainside swathed in fog. This goes a long way towards creating this film noir, "Twin Peaks" like dark, brooding atmosphere where the environment itself seems to have a personality and that personality is watching you balefully. The story itself is very simple. Clare O'Dey has been sent into the dying mining town of Blackmore to investigate the unexplained disappearance of a young woman, Shayna Fowles. Did she run away or was there foul play? As we get drawn further into the story, we find out that the investigator, Clare, has an uncanny resemblance to Shayna and as she becomes drawn more and more into relationships with all the potential suspects, Shayna's doctor, her husband, her lover, she puts her own life at increasing risk. At the heart of it all is a disastrous mining accident which resulted in the deaths of around 17 men and the survival of another 18. Shayna's father, Wilford Cunningham, was the foreman on the day of the accident. Was he responsible for the accident? Could Shayna's disappearance be some kind of twisted revenge? And what about Shayna's lover, a kingpin in the town's local drug trade? Is he responsible? Bouncing back and forth from the past to the present, slowly revealing both Clare and Shayna's backstory, the narrative becomes more complex and difficult. Is Shayna alive or dead? Even more thrilling, will Clare be alive or dead by the end of this suspenseful tale? This book goes a long way towards understanding the nature of obsessive relationships and the dynamics of addiction not only to substances, but also to people, whether you love them or hate them. 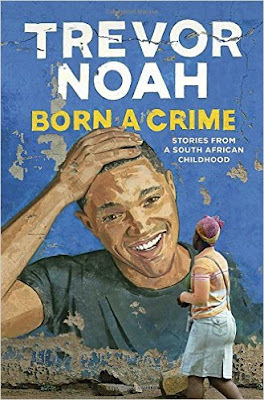 For me this was another one of those books I just wasn't able to put down and I literally kept on reading it until it was finished. I understand this is Amy Stuart's debut novel, which is probably why it didn't come out first as a hardback, but instead came out in a hardback looking softcover. All I can say is that "Still Mine" is a pretty impressive debut and I'm anticipating many more outstanding books to come from this writer.